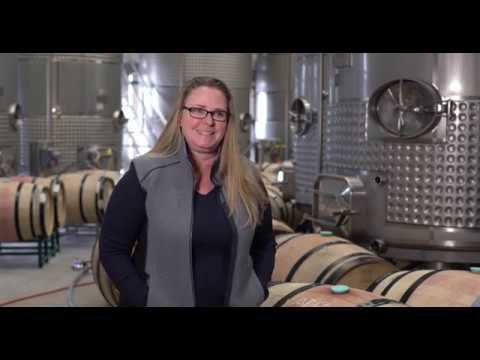 vintrace, formerly known as VINX2, is a cloud-based winery management solution for boutique, small-medium and enterprise level wine production and cider-making businesses. Designed with an emphasis on streamlining information flow within a business, the software boasts intelligent integration with other leading winery systems alongside connectivity with Xero's accounting platform via add-on. Features include cost tracking using activity / standard costing methodologies, sales order and purchase order raising, email invoicing, plus centralized work order management for directing cellar tasks. Vineyard sampling tracks trends in brix, pH, TA and more to pick grapes at the optimal times, while fruit arrival information can be captured alongside logging crush and press data for accurate yield reporting. Subsequent standard features include the management of fermentation rounds, bulk wine blending programs, barrelling, harvest scheduling, plus the handling of grower contracts and payment processing. Lab work can be centrally managed at in-house or external lab locations using vintrace's built-in Lab Console, where trial blending allows mock cellar blends to be analyzed for composition. There are currently no reviews of vintrace. + Training and setup fees. vintrace is a cloud-based winery management solution for wine making companies, providing centralized access to business information and operations from any web-enabled device. Flexible costing capabilities and the tracking of input costs, overheads, storage and more enables winemakers to monitor and establish the production price on each barrel and bottle of wine. A custom reporting dashboard presents key business metrics with chart visualizations and lists, summarizing harvesting progress, cost by brand and bulk wine by customer etc. The vintrace companion mobile app for iOS enables native access to features including barcode scan and search for querying real-time wine details, along with the viewing of analysis data and submission of work orders. vintrace minimizes the doubling up of data entry while improving accuracy via integration with Xero, thanks to a dedicated add-on, plus other specialist systems including TankNET, VinWizard, ETS Labs, AgCode, OenoFoss, Wine Scan, ChemWell and Thermo Scientific Gallery. Below are some frequently asked questions for vintrace. Q. What type of pricing plans does vintrace offer? Q. Who are the typical users of vintrace? Q. What languages does vintrace support? Q. Does vintrace support mobile devices? Q. Does vintrace offer an API? Yes, vintrace has an API available for use. Q. What other apps does vintrace integrate with? Q. What level of support does vintrace offer?